Dale has just joined Word of Life Canada in the role of Missionary Accountant in January of 2018 and is excited about serving in the Camp and Bible Institute ministries. Dale has worked as an accountant in the manufacturing sector for almost 36 years as an Accounting Manager, Controller or CFO. His most recent position was with a manufacturer in the Auto Sector, located in Stratford, where his responsibilities included all facets of the accounting cycle. 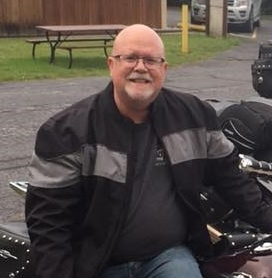 Dale has served as a Youth Leader at the local church level for many years and has played guitar, bass and sang on many worship teams over the years. Dale has 4 adult children living in Southern Ontario, Sarah, Joshua, Madison and Lucas, all of whom have a personal relationship with their Saviour Jesus.